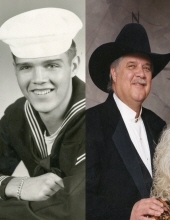 Celebrating the life of Robert C. Lehm, Jr.
Obituary for Robert C. Lehm, Jr.
Robert Carl Lehm, Jr., 78, of Laurel passed away on March 17, 2019 at his home. He was born August 14, 1940 in Lebanon, PA to Robert and Dorothy Lehm. He attended school in Philadelphia and when his mother married Gerson Barnett, the family moved to the Washington, D. C. area. He graduated from Northwood High School in Silver Spring, MD, Montgomery College in Takoma Park, MD and served in the U. S. Coast Guard. In 1961 he married Donna Fuggian and they had two children, Dianne Renee and Robert Clark. Also in 1961, he opened his own food brokerage company in the Washington-Baltimore area. He eventually sold the business to fulfill his life long dream to live in Montana. During his years in the Washington area, he was active in business organizations and, in his spare time, sports car clubs. He bought his first Corvette in 1964 and spent most of his life racing at various tracks on the East Coast and later just enjoying the cars. Probably his favorite car memory was being able to race on the Daytona track. Bob was very artistic and expressed this through intricately painting model trains and detailed custom car painting. His avid love of trains and photography drew him to model railroading and traveling in Montana and throughout the country. He never missed an opportunity to “chase trains” for photo ops or to ride one of the scenic railroads. In 1989, he loaded up his horses and family and made the move to Montana where they operated American West Gallery for almost 30 years. Robert was preceded in death by his parents, Dorothy and Gerson Barnett and Robert Lehm. He is survived by his wife of 57 years, Donna; daughter, Dianne Renee Lehm (Tony Klein); son, Robert Clark Lehm (Andrea); brothers, Evan Barnett (Joanne) of Brookeville, MD and Ronald Lehm (Nancy) of Turnersville, NJ; and cousin Carol Mundell of Philadelphia, PA.
Cremation has taken place and a Celebration of Life will be held at a later date. If desired memorials may be made to Dottie’s Garden at Zoo Montana (a water-wise garden dedicated to Bob’s mother) 2100 S. Shiloh Road, Billings, MT 59106 or a charity of your choice. To send flowers or a remembrance gift to the family of Robert C. Lehm, Jr., please visit our Tribute Store. "Email Address" would like to share the life celebration of Robert C. Lehm, Jr.. Click on the "link" to go to share a favorite memory or leave a condolence message for the family.